Let's say you have a Contract Form. And, if you want to have the Headers and Texts that is on the form to show on the PDF copy of submission when you download it or when you include it in the email notification sent to you or in the email autoresponder sent to your clients you can follow the instructions in this guide — How to Show Headers or Text for Contracts, Terms and/or Agreements in the PDF Format of a Submission. But what if you decided to only include a link that will redirect to your terms and conditions on your form? 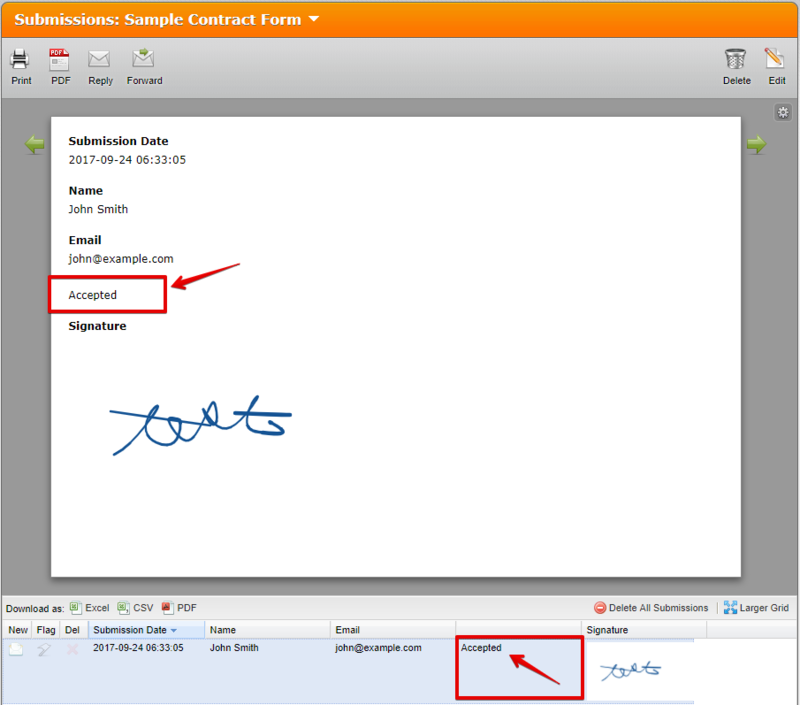 Using the Terms & Condition widget is one way to add terms and conditions with a link in your form. and on the PDF copy of submissions when the form is submitted. It doesn't include the link to the Terms and Condition. In this guide, you will learn how to include a link to the web page that contains your terms and conditions on the PDF copy of your form's submissions. 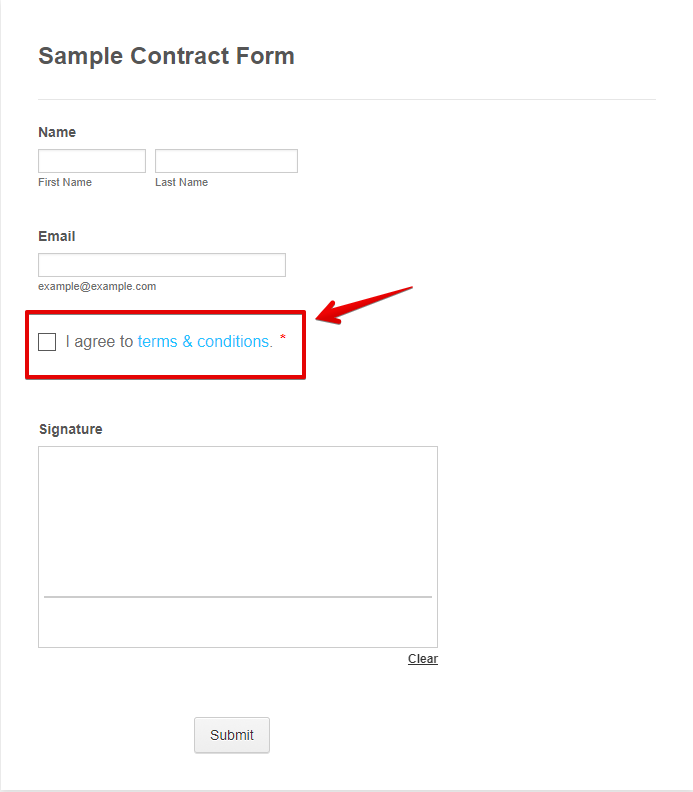 Step 1 — Create a separate "Terms & Conditions" link in your form using the Text Field. 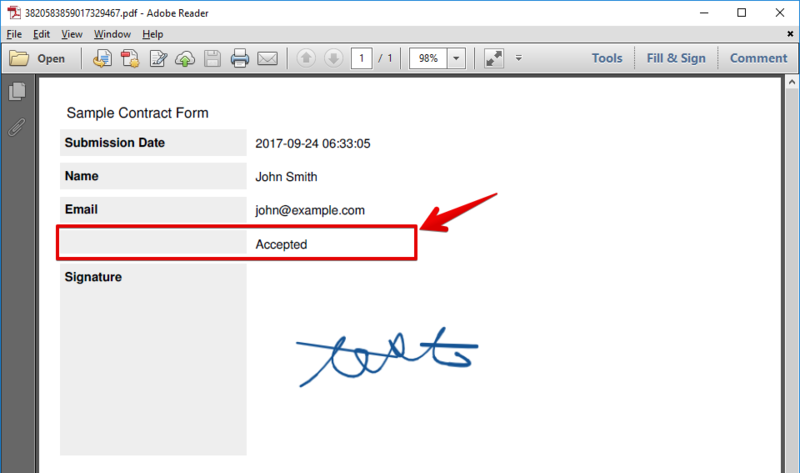 Step 2 — Hide the Text Field so it will not show on the form. 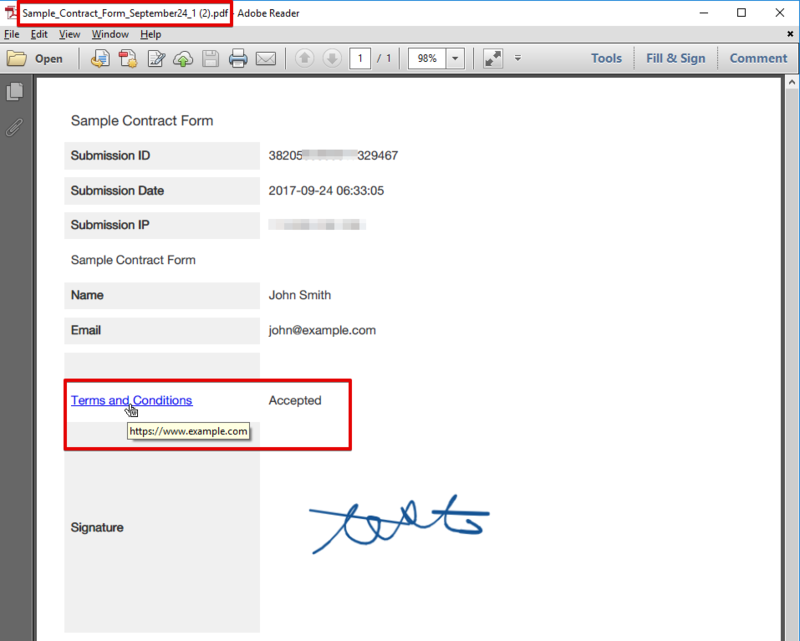 This workaround is not limited to only include Terms and Conditions links on the PDF copy of submissions, it can also be used if you just want to add links to the PDF copy of submissions.